AC Photos: ACEA / Sander van der Borch & Gilles Martin-Raget. 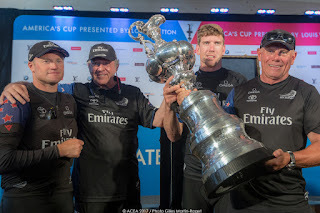 - Back in 2013 Oracle won the America's Cup at San Francisco. Of one the main coaches for that campaign was Darren Bundock andwe dedicated a post to his involvement in winning the Cup. That same edition his mate Glenn Ashby sailed as Wing Trimmer for New Zealand. The Kiwis were too close but suffered a tough defeat 9-8 by Oracle. 4 years later and plenty has gone through, TNZ innovated again and Glenn Ashby remained as a key member of the New Zealand squad, so important he was named skipper of 'Aotearoa' . Many of us catsailors have been lucky enough to share a course race or an event with him, being A-Cats, Tornado or F18 class member. 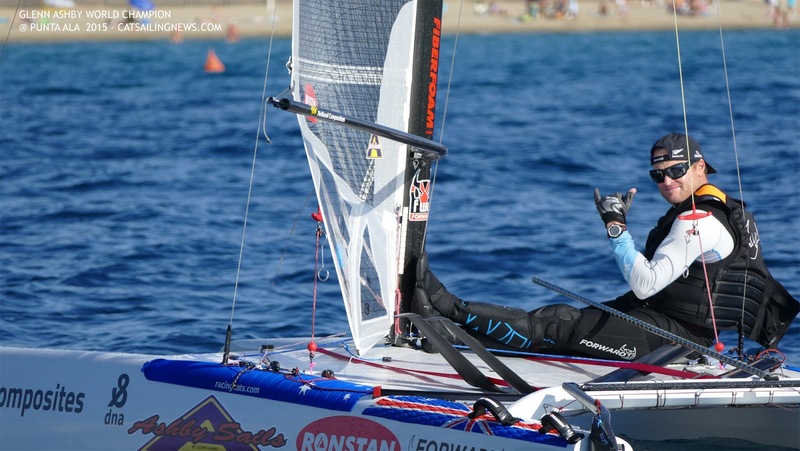 I saw him at Bordeaxu 2014 & at the A-Cat World Championship he won at Punta Ala 2015, many titles for him, but that win was an off the scale performance. 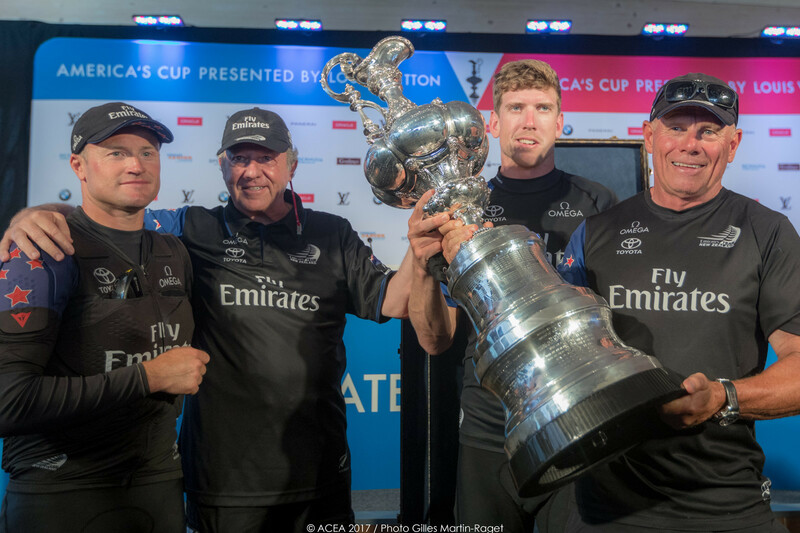 Now winning the America's Cup as a key member of Team New Zealand AC50 it's just the pinnacle of our sport along the Oympics (he has Tornado Silver with Bundy). Seeing he reached to the top based on his racing 'beachcat' campaign it is a legacy for all the kids sailing Multis since early age and someone to look up to. So when someone tells you "catamarans are not serious sailing" or "just beachcats" , tell them about Glenn Ashby. On top of that he is a humble quite good man. We are lucky to have him along Bundy and Lange as our major Catsailing Legends. Glenn Ashby was part of Oracle when they won in 2010, so this is his second America's Cup. This is special though, being skipper of the top Sailing Nation in the World while being an Aussie himself its an honor few non Kiwis sailors will be capable to achieve, if any other. Have a good time with the family Glenn, we all cheered for you & TNZ (for Nathan & Artemis too..!) 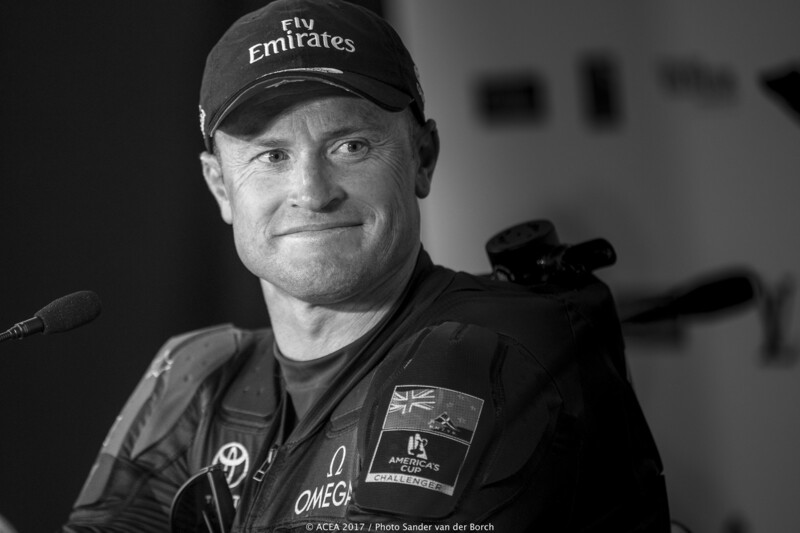 and we ,the entire 'beachcat' racing community, are more than happy for you mate on such a massive achievement and performance delivered by you and the entire Team New Zealand.